Ever ask another guitarist how to solo over a I-IV-V blues progression? Nine times out of ten, you'll be directed to practice a minor-pentatonic box scale. Listen carefully to great blues music, and you'll hear a secret: It's intervals, not scale patterns, that make the magic happen. 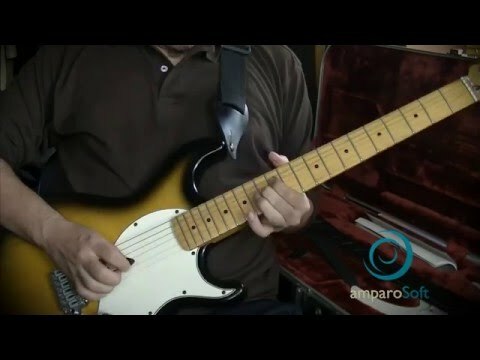 In this app you'll learn to play in terms of harmonic color and intervals, instead of meandering through scale patterns, in the context of a full original 12--bar blues based on the styles of various blues masters, like B.B King, Buddy Guy or SRV, among others with amazing high quality video and audio in sync with the tab.